A few weeks later, further rummaging through my grandfather’s eave closets unearthed a cache of old photos that included the one below, which was actually labelled John Corr. I didn’t see a resemblance. When I showed my grandfather this newly alleged “John Corr”, he reevaluated his earlier assessment. My grandfather had never met his maternal grandfather, John Corr. The latter died a good eight years prior to the birth of the former. My grandfather therefore could not rely on personal knowledge of the identity of either gentleman. He could rely only on what he was told, and what the artifacts themselves represented. This photo was labeled “John Corr”. I have another tool: face recognition technology in the form of Google’s free photo organizer, Picasa. This miraculous piece of software did correctly identify photos of my grandfather from when he was a baby in the early 1930s, through to the present time. The software is not always correct, but any software that does as I have described deserves some credit. So when the Picasa program reports to me that two people are one and the same, I credit that report. According to the Picasa face recognition software, the man pictured above is a thinner, younger, more cleanly shaven version of the man pictured at right. As far as I can tell, my grandfather’s memory served him well on this occasion. Until I learn otherwise, I am satisfied that the man pictures above is also John Corr. Most of what I know about John Corr’s biography comes to me from my Aunt Gail, who is my father’s cousin. She had begun work on a family history project in the 1970s, and kept her artifacts together in a shoebox-shaped trove, which she lent to me several years ago. Among these artifacts were some letters of correspondence with a couple of her mother’s cousins, as well as a variety of clippings, both original and photocopied. Scans of these documents formed the foundation of my research, which has sprawled since the advent of internet based research. According to Jeanne, a granddaughter of John’s, John was born in Stewardstown, County Tyrone, in what is now Northern Ireland. Death certificate information puts his date of birth at March 3, 1856. According to Jeanne, John had seven sisters and two brothers. The three boys and one of the girls came to America, and John arrived in about 1878 and worked for $1.50 a day upon his arrival. He married his first wife, Julia Foley, in 1888. After they had 7 children, six of whom survived to adulthood, Julia died of stomach cancer, whereupon John re-married Mary Comey, who would raise my great-grandmother, Julia Corr Graham. By the turn of the century, John and his brother, Patrick, were in business together in the wool waste recovery industry. Many documents identify John as a “Waste Dealer” or something of the like, which calls to mind images of junk yard scavenging. I don’t think that’s the correct impression. Corr & Brother, as the partnership was known, was a part of the textile industry, and it supplied recycled wool to carpet manufacturers from a large facility in North Philadelphia. Patrick Corr struck out on his own and dissolved the partnership in 1905, but John and Patrick both remained profitable in the industry, if the sizes of their gravestone monuments are any indication. The demise of Mr. John Corr, on Wednesday, December 31, marked the termination of a career which had been active and useful in relation to important business interests and the announcement of his death has come with a sense of deep personal loss and bereavement to all who enjoyed the privilege of being brought within the sphere of kindly and helpful personality and influence. The late Mr. Corr is widely known in cotton and wool waste business located at 1954 North Second street. 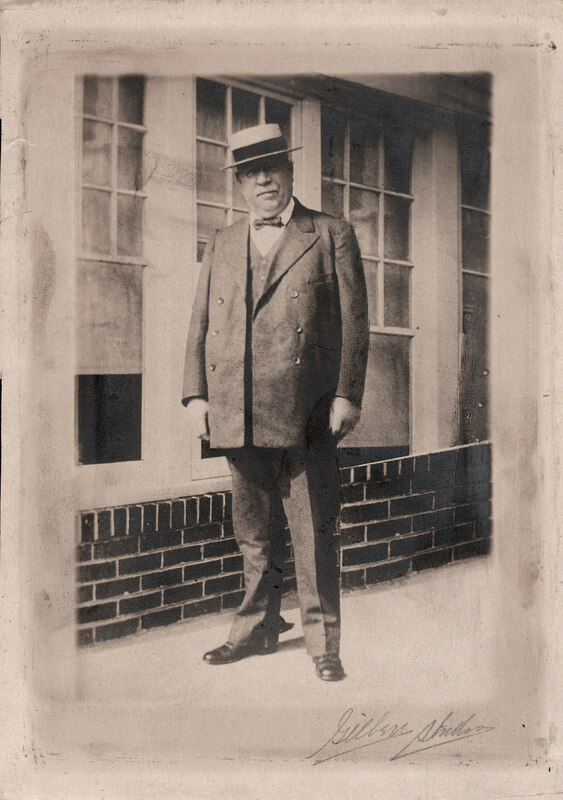 He was treasurer of the Overbrook Carpet Company and vice president of Charles W. Paulson & Company. He developed a large and important patronage through the high quality of his service and the careful attention to which he gave to the interests of his many patrons and customers. He was a man of great force and determination of character and his breadth of idea and consistency of purpose were supplemented by the foundation traits of firmness, thrift, and industry. 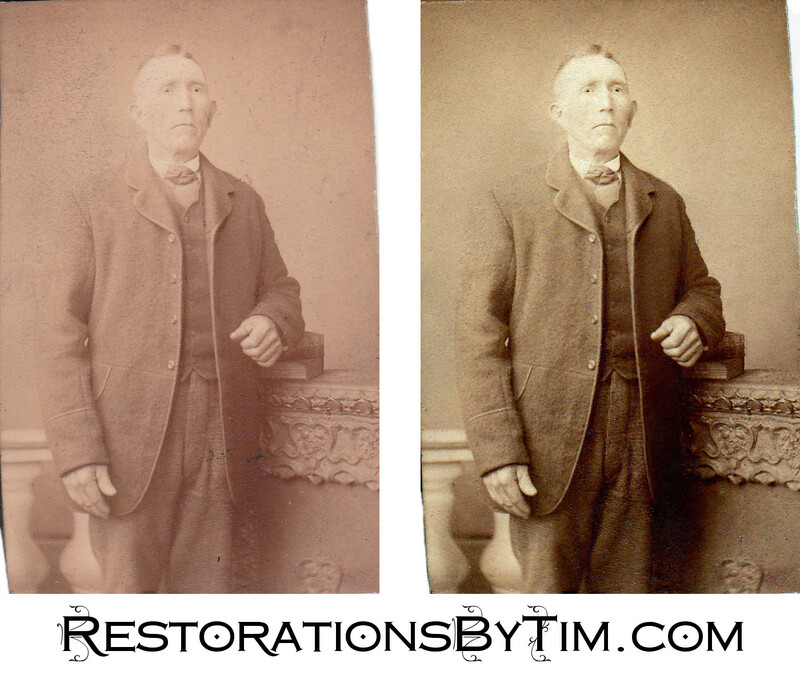 Mr. Corr was born in County Tyrone, Ireland, in 1856, and came to America at the age of 22 years. He was a loyal and true business man in every relation of life, and it is with a feeling of infinite tenderness and respectful appreciation that his hundreds of friends and acquaintances look upon his completed life work. He is an honorary member of St. San Salvador, No. 283, Knights of Columbus, Order of Elks, and he is a member of the Holy Name Society, Society St. Vincent de Paul, Anti-Cobin, Republic Club. Mr. Corr was operated on two weeks ago at St. Mary’s, and so rapid had been his recovery that the family was in the midst of preparing a homecoming celebration when notified of this sudden death. 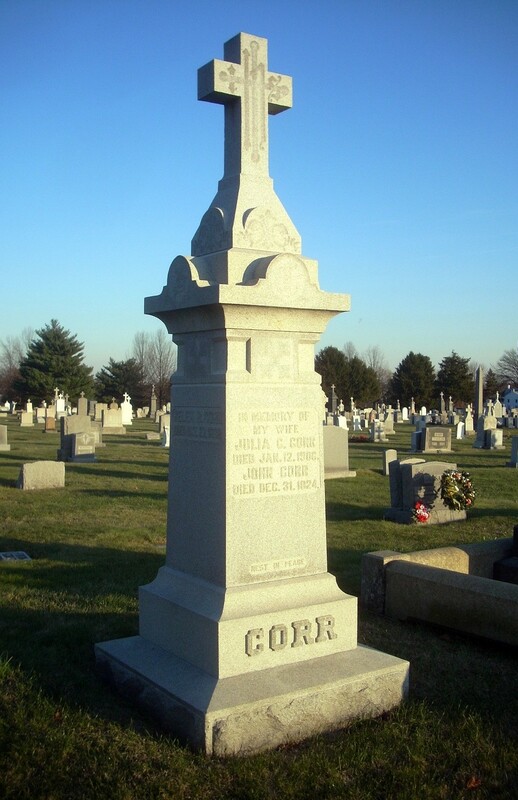 John Corr was buried with his first wife, Julia, and two of his children at Holy Cross Cemetery in Yeadon, PA, just west of Philadelphia. His son, John Corr, Jr. inherited the waste recycling business from his father, as the Journal of Commerce noted that John Jr. was “conversant in every detail of the business”. John Corr’s sizeable monument at Holy Cross Cemetery, Yeadon. Many thanks to Aunt Gail for sharing her treasures with me, to cousin Jeanne for helping with Gail’s family history project all those years ago, and to my grandfather, for his spot-on photo identifications.